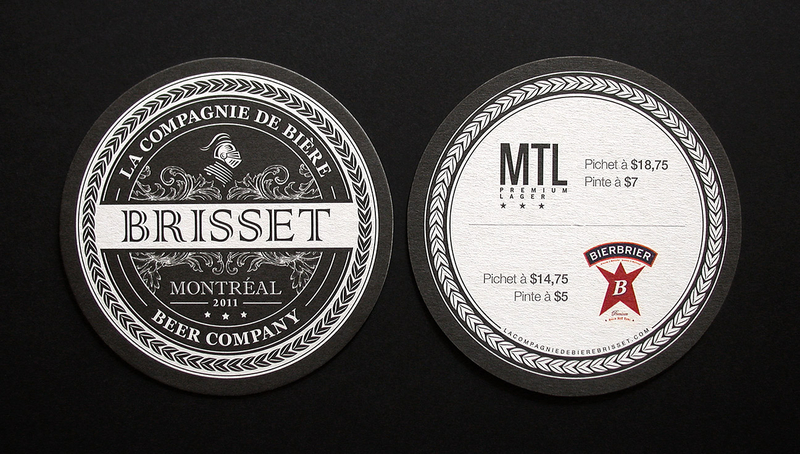 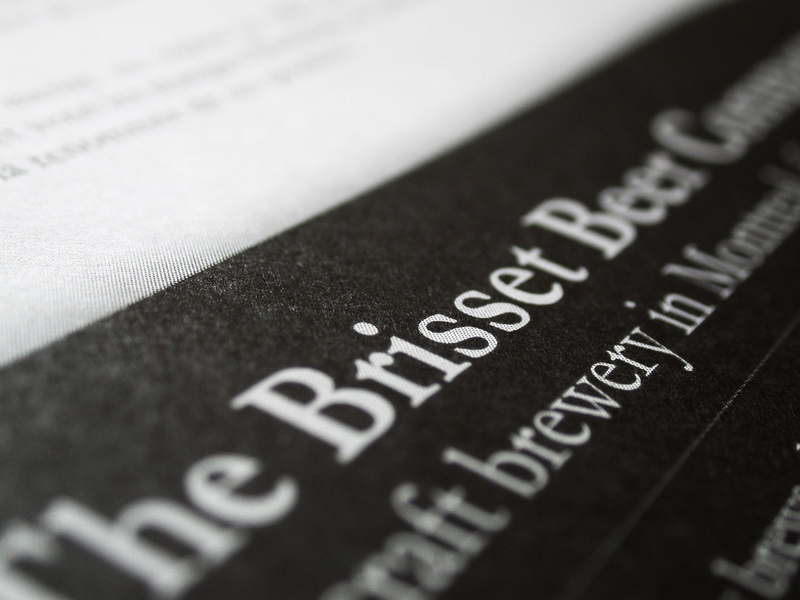 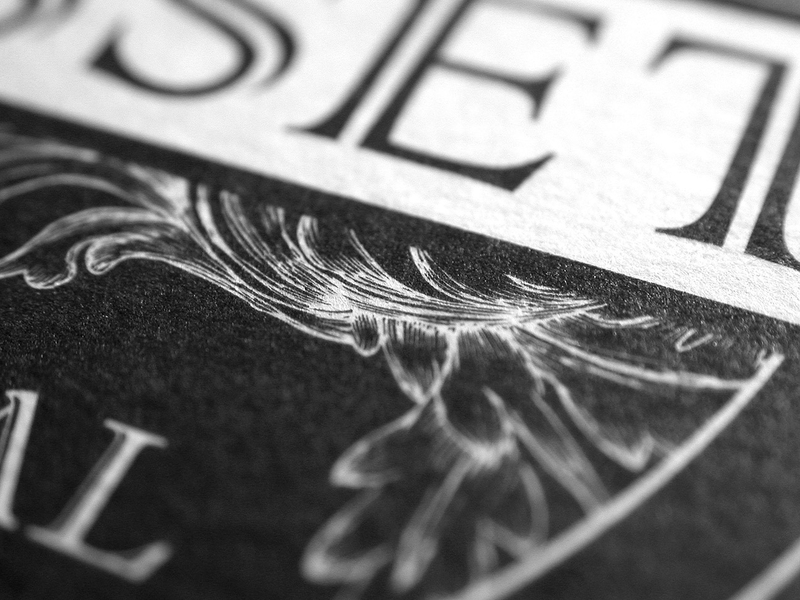 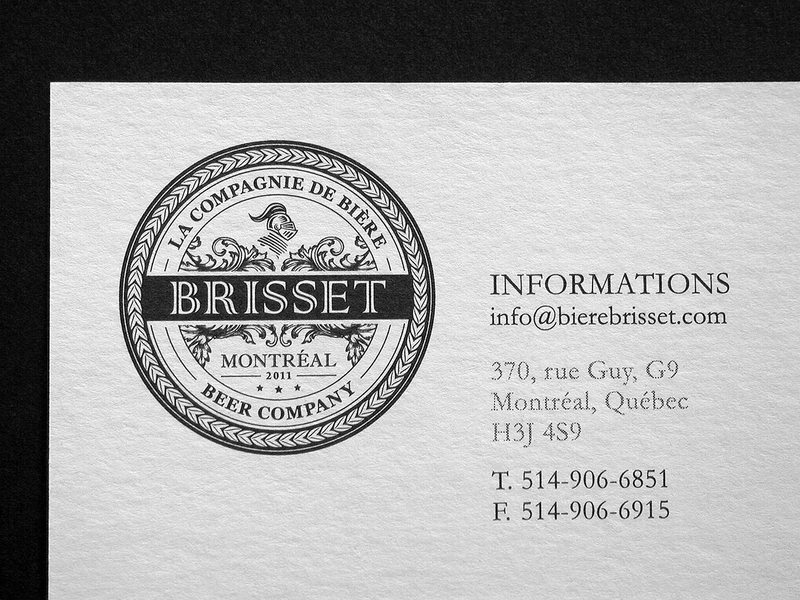 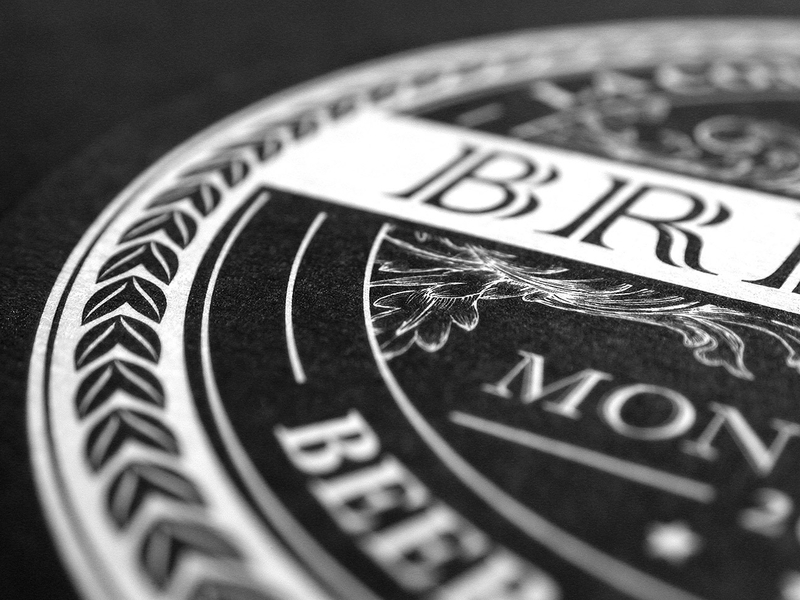 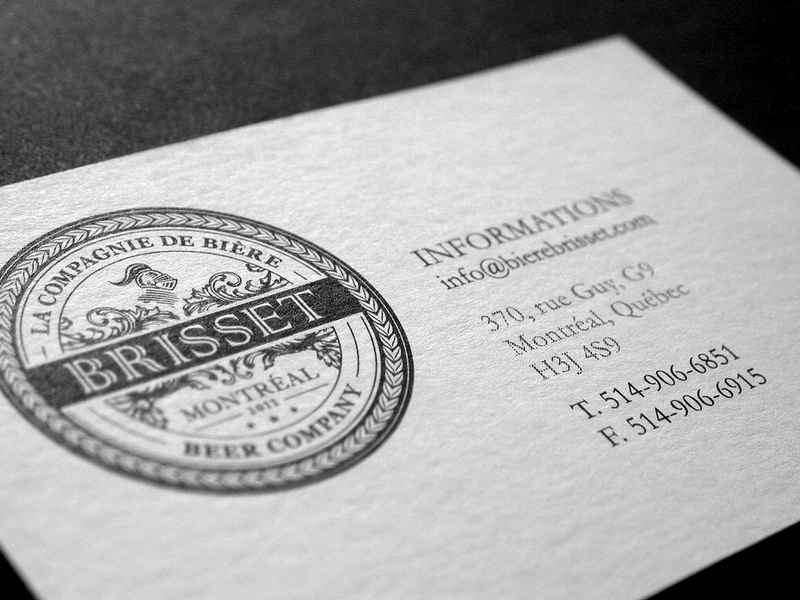 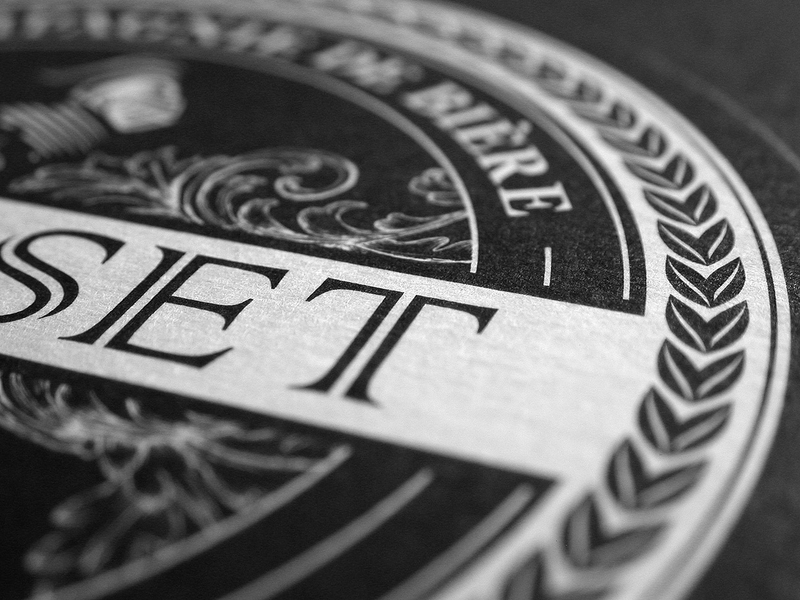 Brisset Beer is a Montreal-based brewing company that was founded in 2011. 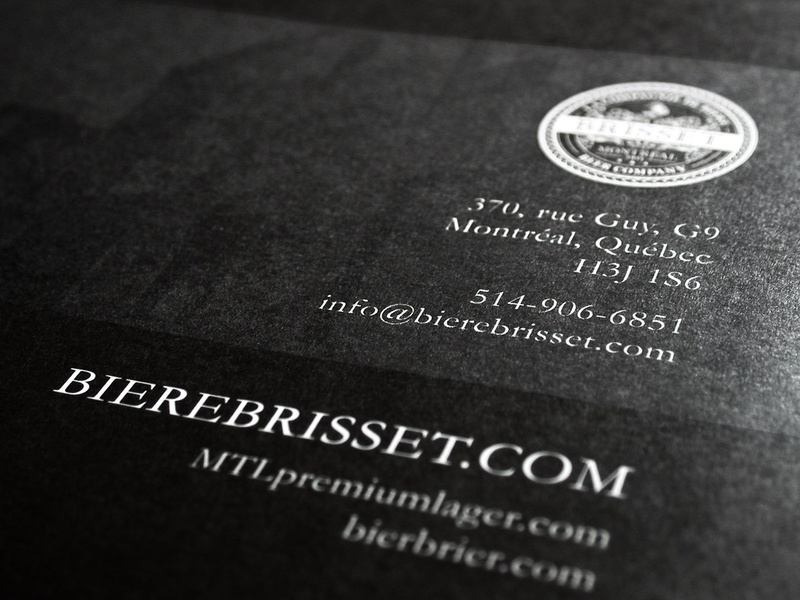 It produces, sells and distributes quality beers in Quebec, Alberta and British Columbia. 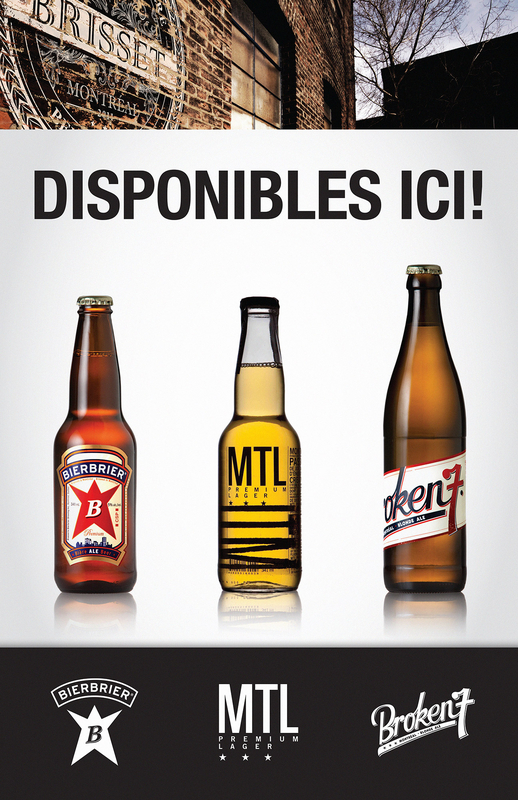 It’s most popular products are MTL Premium Lager, Broken7 and Victoriatown. 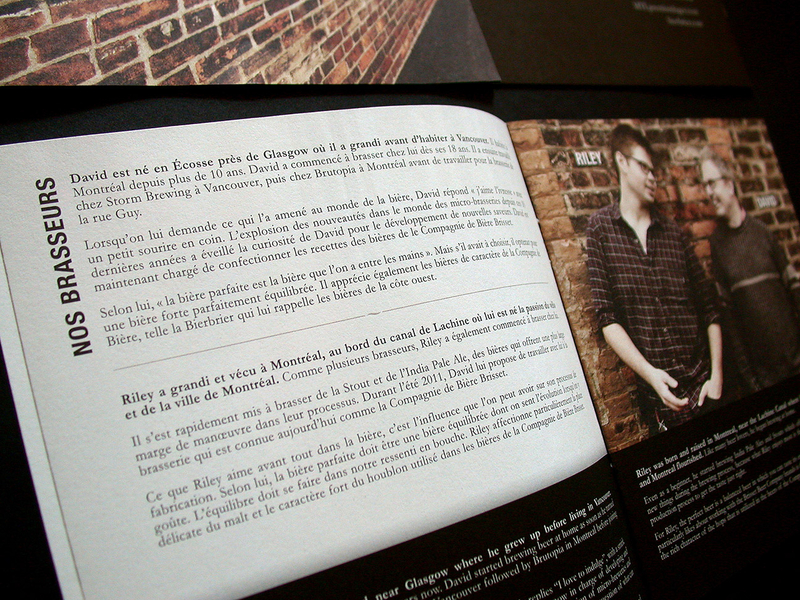 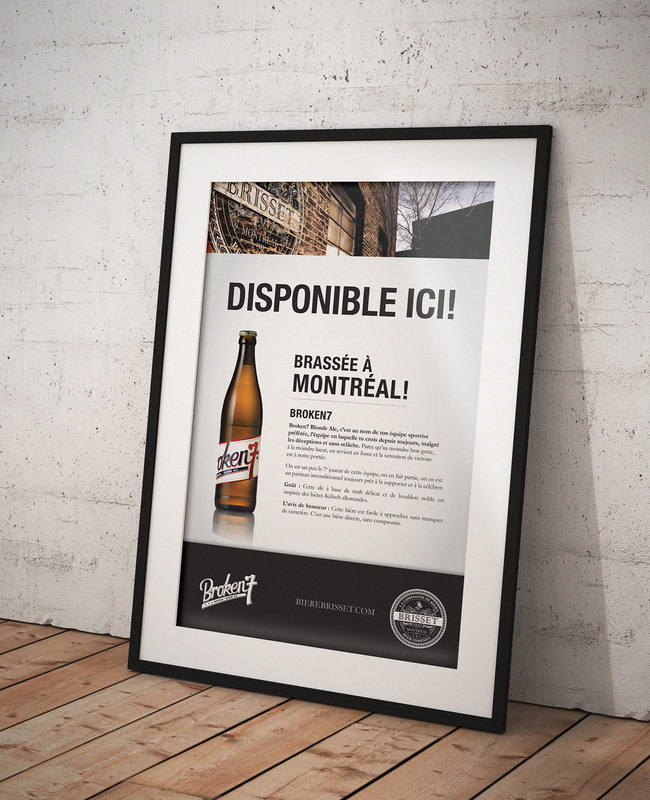 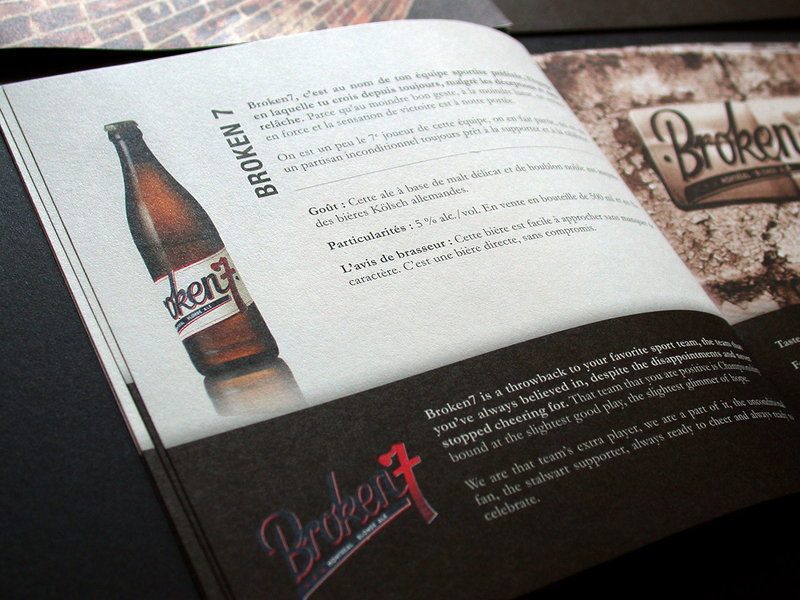 Mandate: To advertise its arrival in the Quebec beer market, the client mandated us to create their brand image. 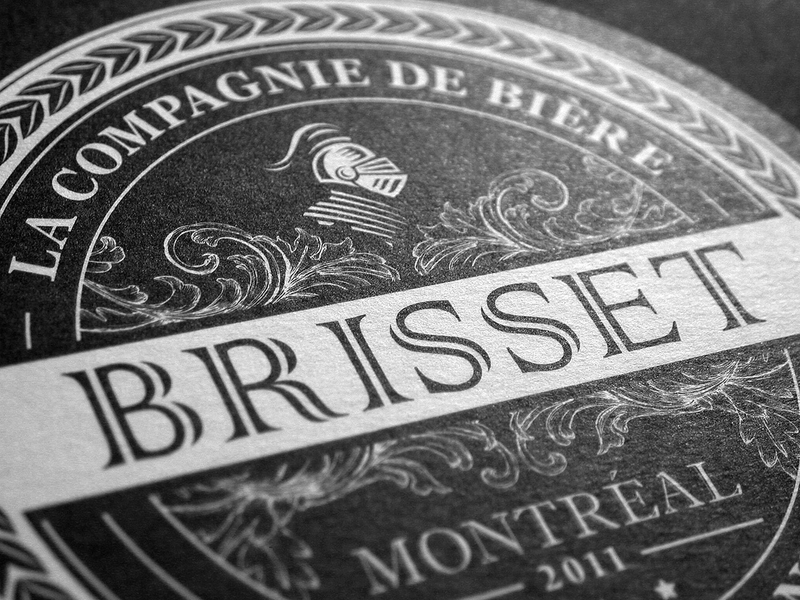 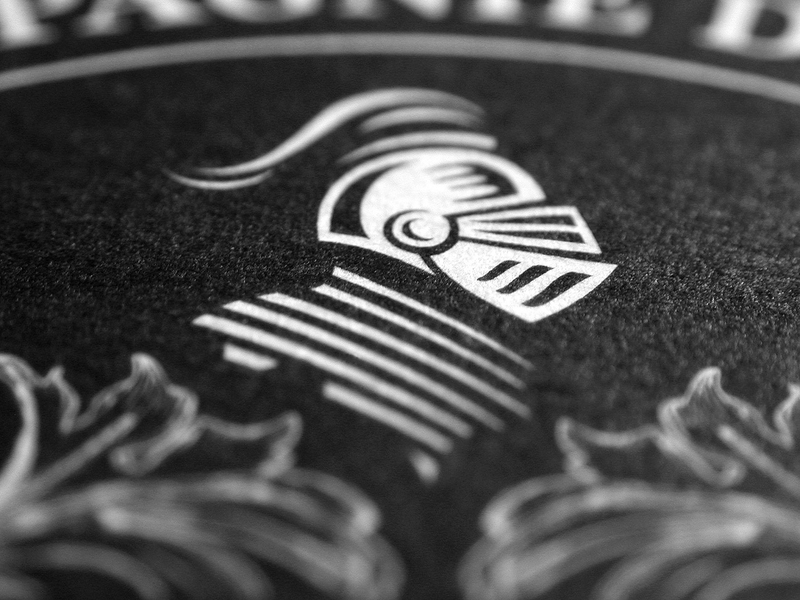 The founders of the company being passionate about history and Montreal culture, we were inspired to work with their family’s coat of arms to create a visually rich and authentic emblem. 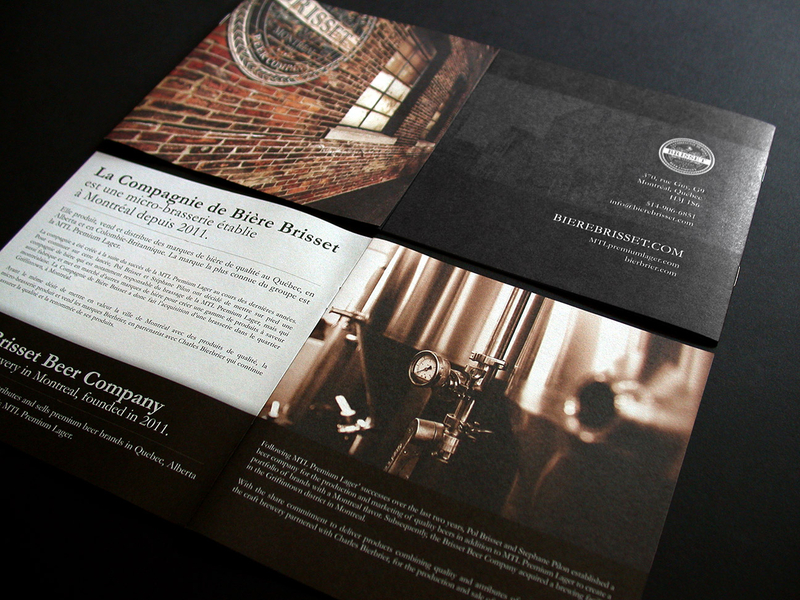 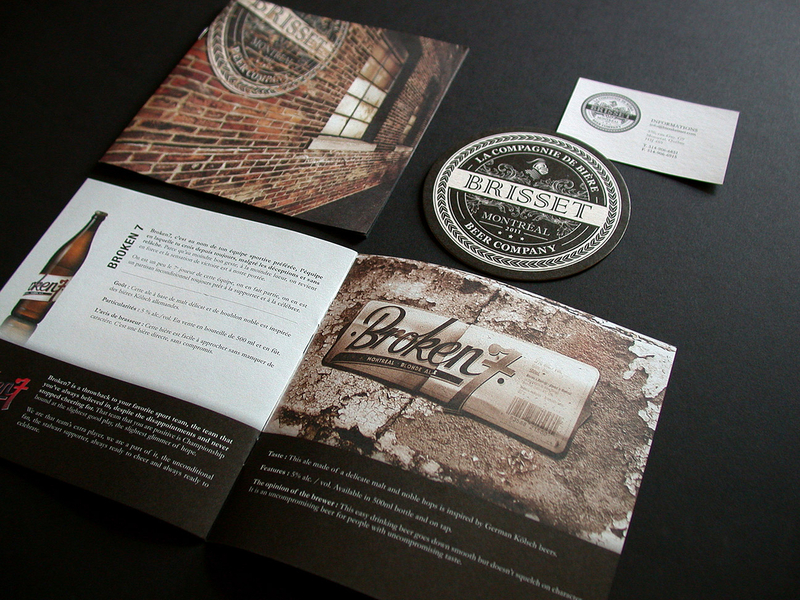 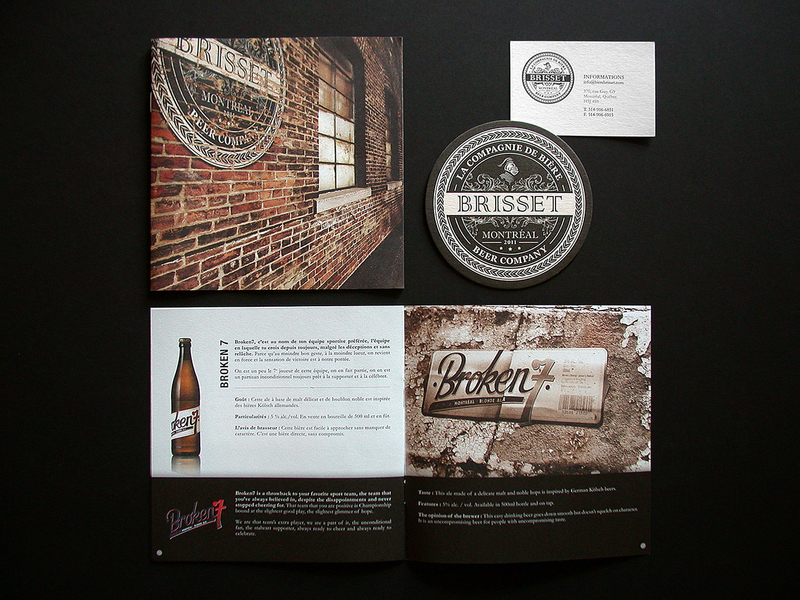 Once the brand image was completed, our client commissioned us to create a complete visual platform as well as several promotional tools destined to make the Brisset Beer company’s products shine across Canada.